Looking for DIY ideas for Valentine’s Day cards for kids? I’ve put together a list of some of the most cutest DIY Valentine’s Day cards across the internet just for you. This post may contain affiliate links which means I earn a commission at no cost to you. Please see my full disclosure policy for more details. I can’t believe we have to start thinking about Valentine’s Day already. I’m pretty sure I missed a few days after the new year. Like, seriously, days 4-8 where a complete blur. When it comes to Valentine’s Day, I don’t go overboard. We do cards for classmates but that’s about it. Mostly, my budget isn’t cut out for it. In addition, I don’t want my kids growing up thinking they have to buy things for every holiday. If you are looking for ways to save money, then DIY might be something you can look into this year. Last year, I created Heart Shaped Valentines Day Books for our family members. I had my son write down 14 reasons why he loves a particular person. The loved it! I’m not sure if I’ll continue now that I have 3 kids and pressed on time but it was a joy learning his bond with each of his grandparents, Tia, Tio, and cousins. 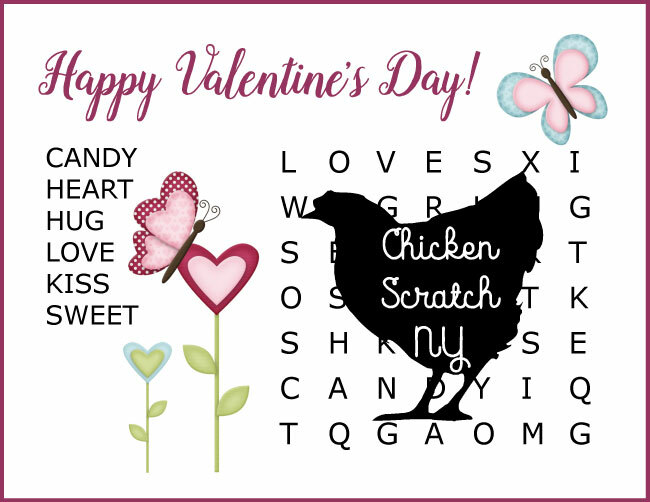 It saves money- but be careful, while printables are free on most crafting sites; the candy, treat, toy or gift that pairs with the card can come out to more money than traditional Valentines Day cards at the stores. 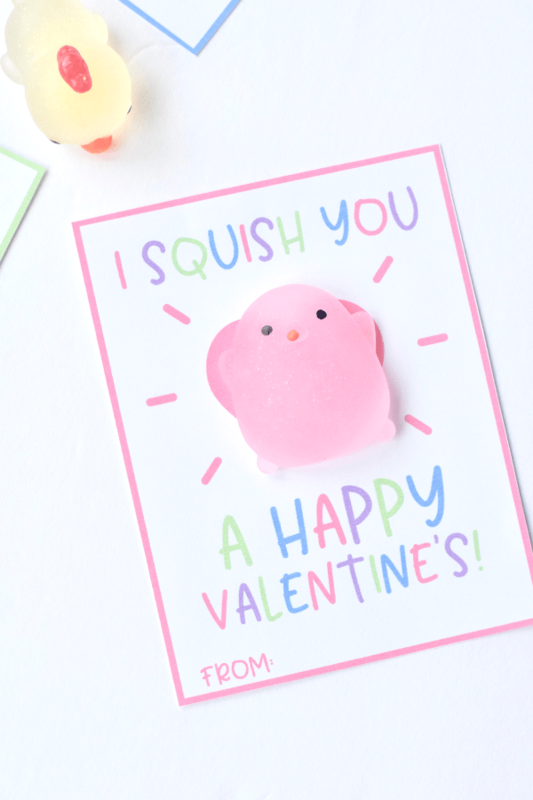 I decided to hop on the internet to find some of the best and frugal DIY Valentine’s Day cards for kids to make for their classmates. The best part? They come with FREE printables! I hope these give you some inspiration this Valentine’s Day. This super cute Valentine’s Day is so simple! It would be perfect, even for preschoolers! I am loving the play on words here. Plus, I’m sure you can score some neat Valentine pencils at the dollar store to make this extra frugal. Are your kids in love with squishy things? 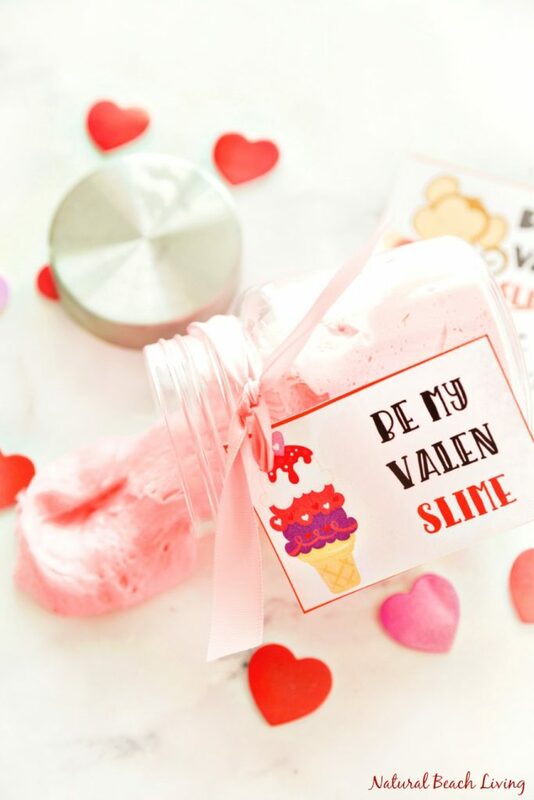 My boys love squishy and slimy stuff lately and I feel this would be an awesome Valentine’s for this year. If you want this look, check out these squishies currently on sale right now on Amazon. If your kids are into Pokemon, then this one is perfect for you! These Valentines Day cards are super easy to make and really frugal. You can choose to pair them with some Pokemon cards or some color coordinated candy. Oh my gosh, these printables are a must! She has 3 sets of different printables based on breakfast, food, and plant themes. The puns are simply amazing and so darn cute. As a boy mom, this is number one on my DIY list. We love race cars and have so many of them! The sweet little witty quotes make it so worth it, too. If you are looking for Disney printables, then here ya go! My favorite is Lightening McQueen (boy mom here) and Olaf. What’s your favorite? Where are all my Harry Potter fans? This is absolutely genius. Wingardium LOVE-iosa! Seriously. Genius. These cards are adorable and for anyone, really. I love how simple it is. All you have to do is download the free printable and print them out. What kid doesn’t love puffy slime? This darling printable pairs perfectly with the gift. While you don’t have to make a gift, sometimes, you just can’t resist. If you are looking for a more educational Valentines Day card, then try this seed packet valentine. Encourage other children to learn about how to grow and care for plants! Super unique! 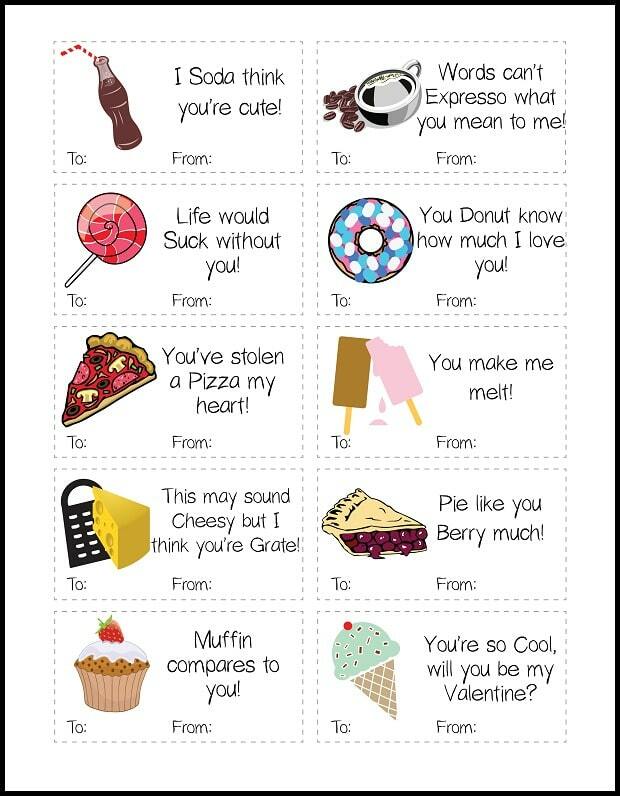 I hope you enjoyed this roundup of crazy awesome Valentines Day card printables. It sure beats finding last minute overpriced Valentines Day cards for kids at the store. Plus, you won’t ever have to leave your home! i love these, super cute! its a fun activity that adds character too! Thank you Jasmine! I totally agree that it adds character. Making something nice for someone definitely builds character. I freaking LOVE the race car printables! I’m going to use these this year!! Aren’t they so awesome! We have tons of race cars so it’s so perfect! I love these ideas! My oldest wants to hand make Valentine’s cards this year, and these are great options for us. TY!! Thank you Tiffany! Have fun making them this year! These are too cute! My son would be all about these Harry Potter cards! Bookmarking! Aren’t they genius? Thank you Camesha!